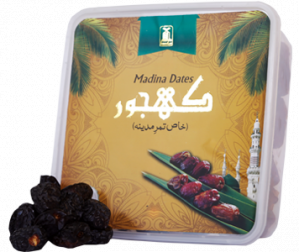 Ajwah dates are usually soft, sweet and scientifically proven to do wonders for your health. Loaded with vitamins and minerals, this superfood does everything from strengthening bones to improving heart health. It’s no wonder why they’re historically hailed as the Prophet’s Muhammad (peace be upon him) favorite dates and why Mariam (Virgin Mary) (peace be upon her) ate them during labor pains! Indulge today in a box of this dark, rich goodness and reap all the major health benefits. You’ll be so happy you did, just like others who have benefited. High in fiber, vitamins and minerals including soluble fiber, potassium, iron, magnesium, manganese, selenium, and vitamin Bs. Take it with you and there you have it, a healthy meal replacement. Naturally bite-sized dried fruit making it easy for you to control how much to pack and consume. very nice website, available different type of products on same website. 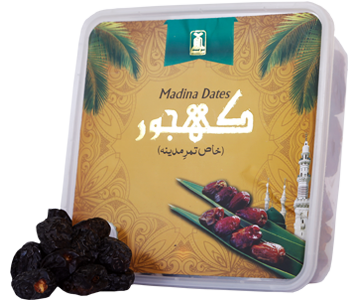 I like this type of dates (Ajwah Dates) because this original type of dates are not easily available in Pakistan. I really thank full to Darussalam to provides us the opportunity to buy original Ajwah dates in Pakistan.